Kremlin: Six-party talks only efficient way to tackle nuclear North Korea https://www.reuters.com/article/us-northkorea-russia-kremlin/kremlin-six-party-talks-only-efficient-way-to-tackle-nuclear-north-korea-idUSKCN1S01BNMOSCOW (Reuters) Writing by Anton Kolodyazhnyy; Editing by Maria Kiselyova – 24 Apr 19,The Kremlin said on Wednesday that six-party talks, which are currently stalled, were the only efficient way of addressing the de-nuclearisation of the Korean peninsula, but all other efforts also merited support. North Korean leader Kim Jong Un arrived in the Russian city of Vladivostok on Wednesday for a summit he is likely to use to seek support from Russian President Vladimir Putin while Pyongyang’s nuclear talks with Washington are in limbo. “There are no other efficient international mechanisms at the moment,” Kremlin spokesman Dmitry Peskov said. “But, on the other hand, efforts are being made by other countries. Here all efforts merit support as long as they really aim at de-nuclearisation and resolving the problem of the two Koreas,” he told reporters. Russia wants a stable North more than a non-nuclear North. Although, Russia continues to officially oppose North Korea’s nuclear status on the basis of its strict interpretation of the NPT, experts already speak about “nuclear emancipation” for the North, meaning recognition of its status as a lesser nuclear state. These ideas coincide with an idea some Chinese scholars have developed whereby North Korea would reduce its nuclear arsenal but keep some weapons as a deterrent. From Russia’s perspective, nuclear weapons now guarantee the security of the North Korean regime. 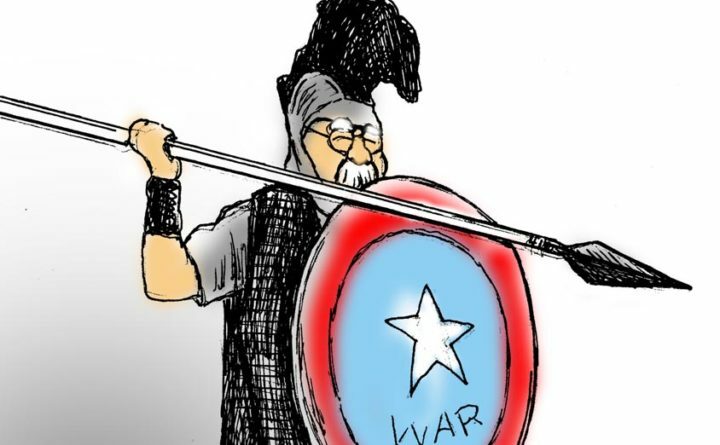 The weapons can prevent attempts at violent regime change by external force. Through them, North Korean leadership has the independence to make changes within its borders. That’s good for Russia. Many Russian analysts consider North Korea’s nuclear program to be defensive. Looking at the North’s nuclear doctrine, it seems likely the country wouldn’t use its nuclear weapons against a country that isn’t planning an attack. While little is known about Russia’s military planning beyond its publicly available doctrines, the specifics of the bilateral relations it holds with the North may guarantee that Russia has no plans to attack its neighbor. ……….The security of Kim’s regime, in turn, guarantees stability near Russia’s eastern borders. For Russia, a stable North Korean regime guarantees the absence of refugees flows, a normal feature of conflict zones, but also prevents US troops from deploying in a potentially disintegrating North. And with its nuclear weapons as diplomatic leverage, North Korea can maintain some independence from China. Thus, Moscow views Kim’s stability as providing something of a buffer between Russia and China. Do North Korean nuclear weapons pose a threat to Russia? From Moscow’s perspective, the Korean Peninsula and Northeast Asia are relatively stable and don’t pose any immediate threats to security. Relations between Russia and North Korea are neutral, if not friendly. North Korean leadership appreciates Russia’s cautious, slow approach to the relationship, in contrast to China’s activist take on issues on the Korean Peninsula. Russia’s emphasis on the need to respect state sovereignty as a fundamental principle of international relations further lubricates the bilateral relationship: Russia avoids any attempt to interfere in the internal affairs of the North, so Pyongyang does not consider Russia as an external threat. Trump says his relationship with Kim remains ‘very good’ amid nuclear stalemate, US President Donald Trump made the statement during the Republican Jewish Coalition’s annual meeting. Asia News Network, by The Korea Herald, pril 8, 2019 US President Donald Trump said on Saturday (US time) that his relationship with North Korean leader Kim Jong-un remains “very good,” conveying his hopes of drawing Kim back to the negotiation table.His remarks come amid a stalemate between the two countries following the breakdown of the two leaders’ second summit in Hanoi, Vietnam, in late February. The deal breakers concerned denuclearization and economic sanctions. “We’re getting along with North Korea. We’ll see how it works out, but we have a good relationship. 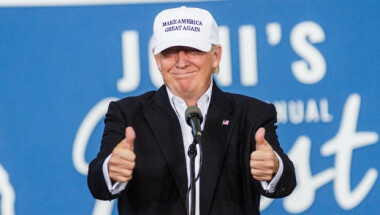 Don’t forget, I have a very good relationship with Kim Jong-un,” Trump said during a speech at the Republican Jewish Coalition’s 2019 spring leadership meeting in Las Vegas………..
After their summit ended without an agreement, media reports revealed that the US had delivered a draft of an agreement demanding that Pyongyang transfer all its nuclear weapons and nuclear materials to the US. According to Japan’s Yomiuri Shimbun on Sunday, the draft agreement consisted of five main points — two demands for the communist regime and three compensatory items. In the document, the US defined denuclearization for the North as shipping out all its nuclear weapons and dismantling all related facilities, according to the Japanese daily, which cited as its sources officials from the US, South Korea and Japan. The US draft sought to ban all future nuclear activities by Pyongyang and to conduct inspections to verify its nuclear disarmament process. There was also a plan to excavate the remains of US soldiers in North Korea. In return, Washington reportedly offered to declare an official end to the 1950-53 Korean War — which came to a halt with only an armistice — and to establish joint liaison offices and provide economic support to the communist regime. On Friday, US Secretary of State Mike Pompeo said he is “confident” that there will be a third summit between Trump and Kim, though he did not provide a clear date or a location. n a televised interview with “CBS This Morning,” based in the US, Pompeo also said the Trump administration is “convinced” that Pyongyang is “determined as well” to achieve denuclearization. Since the February summit, Pyongyang has expressed dissatisfaction toward Washington via its state news agency and its Foreign Ministry. With Pyongyang’s Supreme People’s Assembly due to hold its first meeting on Thursday since a recent election, eyes are on whether the North Korean leader will mention denuclearization talks in his policy speech. Pompeo said the US side will “closely watch” to see what Kim says, but that it does not expect any great surprises. Pompeo hopes North Korea’s Kim does ‘right thing’ on nuclear weapons in parliament speech, David Brunnstrom, WASHINGTON (Reuters) 5 Apr 19, – U.S. Secretary of State Mike Pompeo said on Friday he hoped North Korean leader Kim Jong Un would use a meeting of the country’s parliament next week to state publicly “it would be the right thing” for Pyongyang to give up its nuclear weapons. North Korea’s Supreme People’s Assembly is due to hold its first meeting this year on Thursday and could feature the first public comments from Kim about a second summit between him and U.S. President Donald Trump Hanoi in February that collapsed………..
Pompeo said he was “confident” there would be a third summit between Trump and Kim but did not have a timetable although he hoped it would be soon. ……..North Korea has warned that it is considering suspending talks and may rethink a freeze on missile and nuclear tests, in place since 2017, unless Washington makes concessions. Nuclear North Korea Can Keep Its Weapons, Kim Jong-un may not be willing to denuclearize now, but it’s possible that his calculations could change after some trust has been established and Pyongyang’s relations with its neighbors have become more productive. National Interest, 20 Mar 111119, Daniel R. DePetris Follow @DanDePetris on Twitter Over two weeks removed from a U.S.-North Korea summit in Hanoi that concluded without even a minor agreement to meet again, North Korean vice foreign Minister Choe Son-hui had some pointed remarks for the Trump administration during a March 15 news briefing in Pyongyang. While she notably left President Donald Trump out of her critiques, Choe tore apart his negotiating team as inept and insincere charlatans worried more about politics than making a mutually-acceptable deal. She accused Secretary of State Mike Pompeo and National Security Adviser John Bolton of deliberately sabotaging the talks with a hardline approach. She questioned why U.S. negotiators let a good opportunity slip from their fingers. And she was unapologetic about Pyongyang’s position, calling its demand for a relaxation of some of the most stringent UN Security Council sanctions a fair payment for the closure of the North’s Yongbyon nuclear research center. Secretary Pompeo brushed aside the comments the next morning at the State Department, calling them all part of the song-and-dance of high-stakes diplomacy. Coming on the heels of a report in the Washington Post detailing confusion in the Trump administration about how it should proceed post–Hanoi and during a period of increased murmuring on Capitol Hill for additional sanctions on the North Korean economy, the current negotiations appear to be incredibly vulnerable to an irrevocably break. Trump has three general options going forward. Option one would be to persist with what can best be described as the John Bolton model, where Washington continues to demand immediate, full, and complete nuclear disarmament from Kim in exchange for economic sanctions relief and diplomatic normalization later on. Option two would be the status quo, but with more sanctions slapped on the North Koreans in the hope that more restrictive banking measures and oil quotas will coerce Kim into desperately returning to the table in a far weaker position. As was vividly demonstrated in Hanoi, the first choice is a road to nowhere—one that would not only eliminate whatever diplomatic opening was available but could very well result in a confrontation neither the United States or North Korea wants. The second choice will likely miss the mark too; as the latest comprehensive report from the Security Council panel of experts dutifully documents, the Kim regime is a master at sanctions evasion. Previous sanctions regimes on North Korea have been regarded as ineffective by UN monitors, and there is no evidence that more Security Council resolutions would be any more impactful on Kim’s wallet than the dozen that came before it (China can single-handedly render sanctions moot). Indeed, if Pyongyang can find loopholes in the three strongest Security Council resolutions enacted since 2017, then it can find loopholes in the fourth. Fortunately, there is a third option. For the past quarter-century, U.S. policy has been centered on denuclearization-for-peace. In this policy, the Kim regime can only have peaceful relations with the United States and become a full valve in East Asia’s economic engine if it gives up each and every last nut and bolt of its weapon of mass destruction program—including its chemical and biological weapons stockpiles. Successive U.S. administrations have operated on the same paradigm ever since the North Korean nuclear issue became a top U.S. national-security concern. The only difference across the Clinton, Bush, Obama, and Trump administrations is the negotiating tactics each administration has used to persuade North Korea to denuclearize. ………. Rather than denuclearization before peace, the Trump administration should shake up the playbook and reverse the order. Just because the Kim regime will remain nuclear-capable for the foreseeable future does not mean the United States and its allies in South Korea and Japan should have a perpetually hostile relationship with the North. If Washington dealt with a nuclear-capable Soviet Union, China, and Pakistan with cordiality, then Washington can do the same with a nuclear North Korea. This does not mean the United States has to accept Pyongyang’s nuclear status, its human rights abuses, its illicit arms sales, or its cyberhacking—none of which are conducive to acceptable international behavior. If U.S. security, political, or economic interests are directly at stake, then the Trump administration should not hesitate to defend them. What this change in approach does require, however, is a Washington that is finally prepared to end its daily fixation on short or even medium-term North Korean nuclear disarmament at the cost of everything else, including an inter-Korean reconciliation process that—if taken to its fruitful conclusion—would lessen the hostility on the Korean Peninsula considerably……..
As a country infinitely stronger and more resourceful than North Korea, the United States can afford to wait for a denuclearized Korean Peninsula. What the United States should no longer wait for, though, is an end to seventy years of animosity. The US has hardened its position on North Korea- the influence of John Bolton? Stephen Biegun told a Washington audience that “we are not going to do denuclearization incrementally.”Vox, By Alex Ward@AlexWardVoxalex.ward@vox.com Mar 11, 2019, The top US diplomat tasked with negotiating with North Korea just laid out a denuclearization plan that’s destined to fail. In his first public comments since President Donald Trump and North Korean leader Kim Jong Un met in Vietnam last month, Stephen Biegun, the US special representative for North Korea, told a Washington audience Monday that the administration wants Pyongyang to give up all of its weapons of mass destruction before anything else. But it’s not just nuclear weapons: The Trump administration also wants the complete removal of chemical and biological weapons from North Korea, Biegun said, meaning the US wants Pyongyang only to have conventional weapons by the end of the process. Let’s be extremely clear about what this means: If the US maintains this position, any chance for the US to convince North Korea to part with its nuclear arsenal is gone. Pyongyang for years has said that the only way it would consider giving up its nuclear weapons is through a step-by-step process where both sides offer reciprocal, commensurate concessions. By resolving smaller disagreements, like lifting sanctions in exchange for the closure of an important nuclear facility, over time the US and North Korea would eventually arrive at the grand prize: the end of Pyongyang’s nuclear program. But Biegun said the US won’t do that. Instead, the Trump administration wants to see North Korea dismantle its nuclear arsenal before it offers any economic or diplomatic benefits. That’s just not going to work, experts say. The US has hardened its position on North Korea………..
South Korean President Moon Jae-in praised North Korea’s offer to dismantle a key nuclear production complex as an “irreversible” step to undercut its weapons program, breaking with the Trump administration. In a meeting to discuss the summit last week in Hanoi between Donald Trump and Kim Jong Un, Moon on Monday lauded North Korea’s offer to dismantle the Yongbyon nuclear complex. He also called for pushing ahead with inter-Korean projects currently hindered by sanctions and said the two sides discussed the “partial” lifting of sanctions — backing North Korea’s version of events……. Moon has endeavored to serve as a bridge between Trump and Kim, and has staked political capital on bringing peace to the divided peninsula. …. Key North Korean nuclear reactor has been shut down for months: IAEA, Channel News Asia, 4 Mar 19, VIENNA: The nuclear reactor that is believed to have supplied much of the plutonium for North Korea’s nuclear weapons appears to have been shut down for the past three months, the UN atomic watchdog said on Monday (Mar 4), without suggesting why.The 5-megawatt reactor is part of North Korea’s Yongbyon nuclear complex, the possible dismantling of which was a central issue in talks between US President Donald Trump and North Korean leader Kim Jong Un in Vietnam last week. The Vienna-based International Atomic Energy Agency has not had access to North Korea since Pyongyang expelled its inspectors in 2009, and it now monitors the country’s nuclear activities mainly through satellite imagery. Some independent analysts, who are also using satellite imagery, believe the ageing reactor is having technical problems. “The agency has not observed any indications of the operation of the 5MW(e) reactor since early December 2018,” IAEA Director-General Yukiya Amano said in a closed-door speech to his agency’s Board of Governors, which is meeting this week. At the radiochemical laboratory that separates plutonium from the reactor’s spent fuel, there were no indications of such reprocessing activities, Amano added. But a facility widely believed to be used for uranium enrichment, a process that can also produce weapons-grade material for nuclear bombs, appeared to be running, he said. And building work continued on an experimental light-water reactor. The IAEA has repeatedly said it is ready to play a verification role in North Korea once a political agreement is reached on the country’s nuclear activities. Pak Jong Chon, who apparently is head of the Korean People’s Army Artillery Command, reportedly attended the test alongside North Korean leader Kim Jong Un, hinting that the weapon in the test was a non-nuclear artillery system, perhaps firing rockets. ……. Korean War could be declared over at Trump-Kim summit, says South Korea There’s an upbeat tone that a formal declaration ending the Korean War could be made at the Hanoi summit this week. SBS News 25 Feb 19, Hopes that US President Donald Trump and North Korean leader Kim Jong-un will formally declare an end to the 1950-53 Korean War at the Hanoi summit rose Monday, after South Korea said the two leaders could reach an agreement. “I believe that the possibility is there,” the South’s presidential Blue House spokesman Kim Eui-kyeom told reporters about a formal declaration. President Moon Jae-in said in October “it was only a matter of time” before Washington and Pyongyang declared an end to the war. The US has also struck an upbeat tone. Stephen Biegun, the US special envoy for North Korea, said earlier this month that Trump was “ready to end this war”, fuelling speculation that the formal end of the conflict may be near. Kim, the leader of North Korea, is due to meet the US president in the Vietnamese capital on Wednesday and Thursday, where it is hoped the pair will make progress in talks on denuclearisation, and a possible peace treaty…….. In the latest jab at perennial foe Japan, Pyongyang has blasted Tokyo over its alleged “nuclear weaponization” just days ahead of a second summit between North Korean leader Kim Jong Un and U.S. President Donald Trump. In a commentary published Saturday in the Rodong Sinmun, the official newspaper of the North’s ruling party criticized what it claimed were “voices for the revision of the constitution and increased military spending and nuclear weaponization” from within the administration of Prime Minister Shinzo Abe. Japan, the only country to have endured a nuclear attack, has long maintained that it adheres to its three nonnuclear principles of not possessing, not producing and not permitting the introduction of nuclear weapons. However, the government admitted in 2010 that previous administrations had lied to the public for decades about atomic weapons, after a government-appointed panel confirmed the existence of secret Cold War-era agreements allowing the U.S. to bring them into the country. alliances-seen-by-north-korea-as-guarantor-of-survival/ BY KATIANA KRAWCHENKO FEBRUARY 22, 2019 CBS NEWSNorth Korean leader Kim Jong Un sees nuclear weapons, not alliances, as the “ultimate guarantor” of survival, according to former top CIA analyst Jung Pak, who joined CBS News chief Washington correspondent Major Garrett for lunch on this week’s episode of “The Takeout.”That, she told Garrett, complicates the question of what “denuclearization” ultimately means, particularly ahead of President Trump’s summit with Kim beginning next Wednesday. Trump administration officials say they do not know if North Korea has made the choice yet to denuclearize, but they’re engaged in these talks because they believe in the possibility. President Trump himself has asserted that if North Korea does achieve verifiable “denuclearization,” which he simultaneously said he is now in “no rush” to achieve, the country could become a “tremendous economic power” due to their “unbelievable location” tucked in next to Russia, China and South Korea. Pak believes “there is something to be said” for that point. But the North also sees its location as a real vulnerability, she told Garrett. Denuclearization of the Korean Peninsula begins with a peace declaration, Bulletin of the Atomic Scientists, By David Kim, February 14, 2019 During his State of the Union address, President Donald Trump announced that he will meet with North Korean leader Kim Jong-un at the end of the month to continue a “historic push” for peace on the Korean Peninsula. If one statement stood out from Trump on North Korea, it’s that “much work remains to be done” to achieve complete, verifiable, and irreversible denuclearization on the Korean Peninsula. Last year’s summit in Singapore between Trump and Kim was historic not for what it achieved on denuclearization, but for what it signaled to the world: Both countries, through the top-down, personality-driven diplomacy of their leaders, are ready to transform their relationship by seeking permanent peace on the Korean Peninsula. The central question moving forward isn’t whether Kim is willing to give up his nuclear weapons; rather it’s whether the United States and North Korea can transform their relationship to a point where Kim and his elites begin to believe their regime can survive without nuclear weapons. More than any other measure, an end-of-war declaration between the two countries would represent the beginning of this transformation. As the State Department’s special representative for North Korea, Stephen Beigun, said in a speechat Stanford University, “President Trump is ready to end this war. It is over. It is done.” Both sides appear ready to make that statement a reality. The future of a key North Korean nuclear facility is on the table as leader Kim Jong Un and President Donald Trump prepare to meet in Vietnam next week. The Yongbyon Nuclear Scientific Research Center, the heart of the North’s nuclear development and research, is Kim’s biggest carrot as he tries to win security guarantees and free his country from the U.S.-backed trade sanctions that are hobbling its economy. The North Korean leader has suggested he’s ready to talk about closing the facility, capping the amount of fissile material it produces or possibly allowing international inspections. Trump, meanwhile, says he is going into the summit in no hurry to push the North to denuclearize, as long as Kim isn’t conducting nuclear or missile tests. But time may be of the essence. 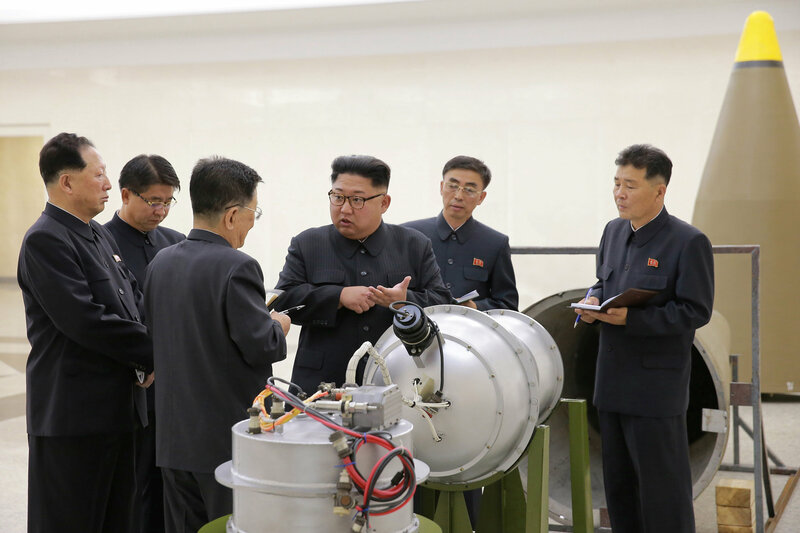 As talks drag on, North Korea is believed to have produced enough weapons-grade nuclear fuel to make an estimated half a dozen or so more bombs in 2018 alone. The North has taken steps to disable or dismantle some nuclear and missile facilities since the first Trump-Kim summit last June in Singapore but it has also been hedging its bets. Using open-source satellite imagery of the Yongbyon complex, a team of experts led by Siegfried Hecker, a former director of the Los Alamos National Laboratory who has visited the Yongbyon facility several times, estimate the North made enough weapons-grade material to boost its stockpile from an estimated 30 nuclear weapons at the end of 2017 to 35-37 by the end of last year. “North Korea unsurprisingly continued to operate and, in some cases, expand the nuclear weapons complex infrastructure,” they wrote in a report published this month by the Stanford Center for International Security and Cooperation.